Home > Blog > Weekend specials from Vault Wholesale – DELBERT DAY! Super Delbert Day. For our newer clients, Delbert Day is named in honor of one of our late, great clients. Delbert made a habit of calling on the last day of the month, and in his thick Arkansas accent, he’d say, “Well, it’s the last day of the month and I figure if you’ve had a great month, you’ll be feeling kinda generous and if you’ve had a bad one, you might be a little desperate. Now, you don’t have to tell me which it is, but I’d like to get your very best price today”. Over time, we’ve decided that, on occasion, we would honor Delbert with some end-of-the-month loss leader deals as well as accepting any reasonable offer on everything else – even if we only make one or two percent! First, let me say that (obviously), not everyone is in the market for $10,000 (or $150,000) rare coins! 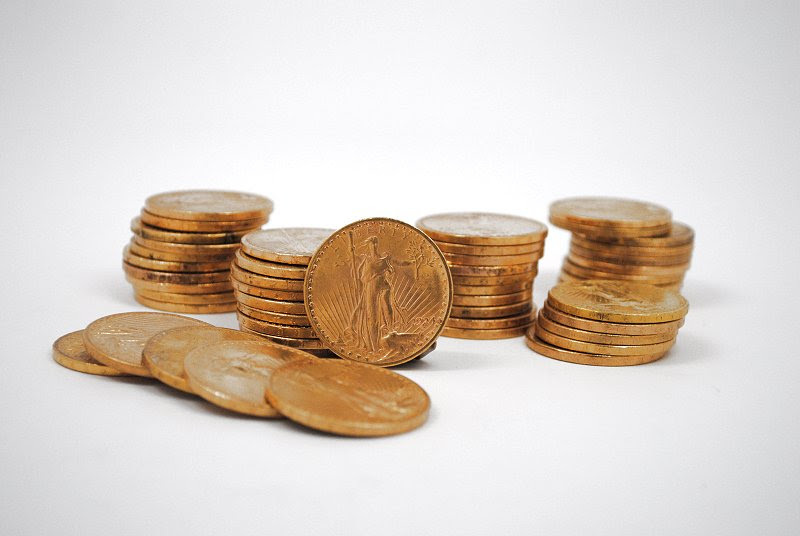 What we’re discussing here is launching a separate newsletter for those high-rollers who are interested in being offered high end rarities and keep the coins here on the “more affordable” side. If you like to join our High Roller Club, please email me and I’ll add you to the list. 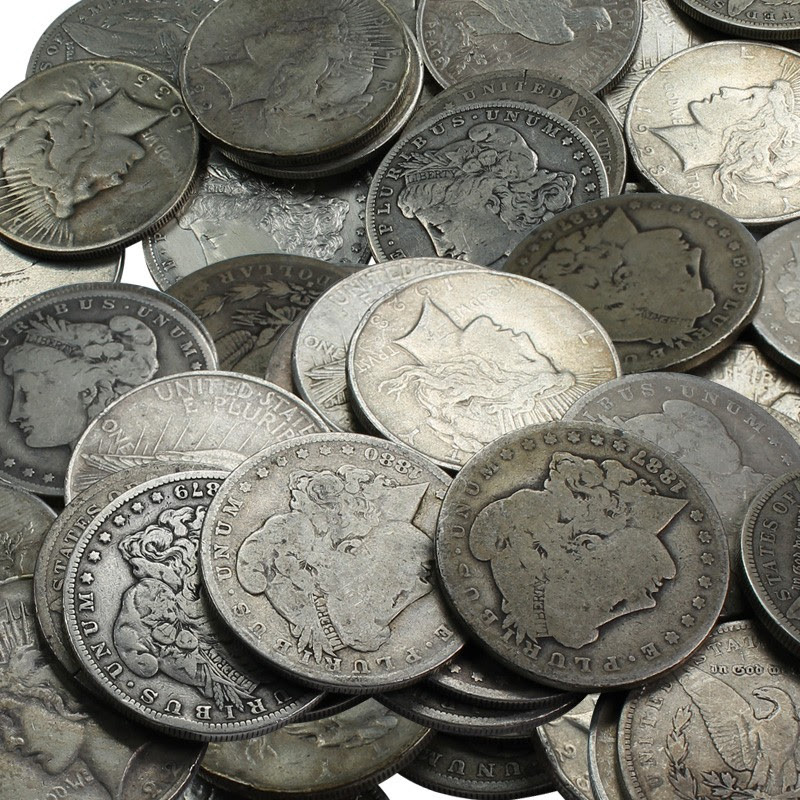 If there are particular areas of interest, or specific coins you’re after, please include that info too. Thanks! 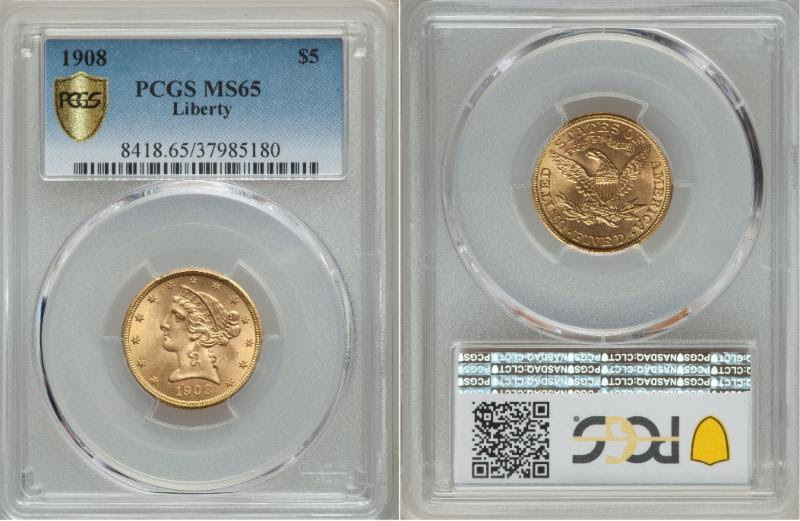 This week’s rare certified coin specials include a very nice 1857 Flying Eagle Penny in NGC MS64, a lustrous 1908 $5 Gold Liberty, just about the prettiest 1911-D Barber Half you’re ever going to see and a rather pretty, early-date 1852 Gold Dollar. Metal prices have had another very volatile week! Prices have been all over the place and, here on Friday, we are happy to see all green on the chart – spot prices trending back up. Should be a good time to jump into the market. Thanks for reading! We appreciate you. Wishing you and yours a great weekend! 2013 San Francisco: Sealed boxes are very hard to find anymore. Links to competitors available on request. 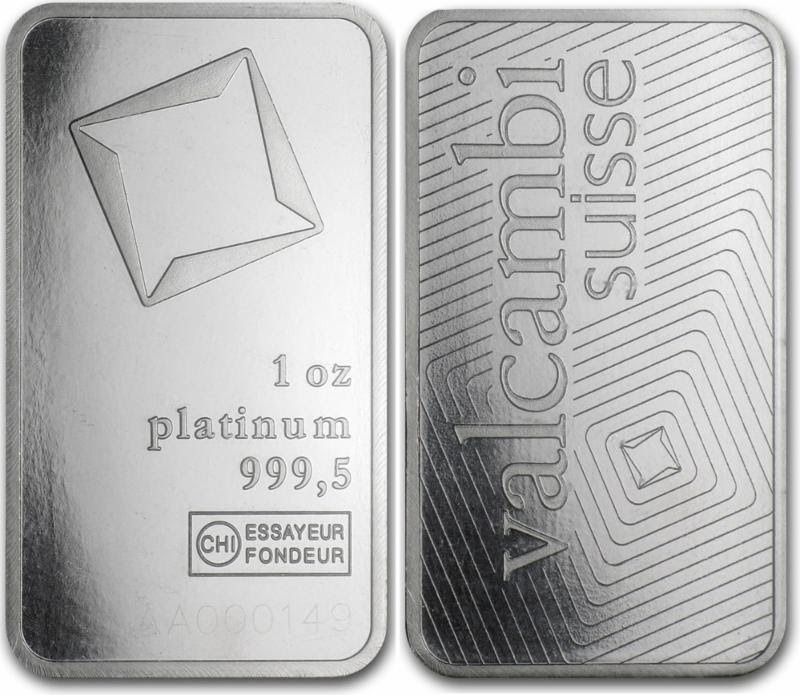 We have a small supply of one oz Valcambi Suisse bars, each sealed in individually numbered assay cards. Platinum bottomed out last summer at $752. There is quite a bit of scuttlebutt about how auto makers saved huge amounts of money by switching from pricey platinum to cheap palladium to make their catalytic converters. This crushed the price of platinum and caused palladium to go though the roof. As the story goes, as palladium skyrocketed, and platinum tanked, said automakers started stockpiling the cheap platinum. Today, platinum has recovered to $850 andpalladium has started to nosedive. Will platinum now regain the upper hand and return to its former glory? Take any pre-33 $20 Double Eagle from our website and deduct $25 from our published price. For your consideration, here are this week’s cherry picked, way-below-price-guide, outstanding-eye-appeal, certified treasures. I’m trying to keep these offerings under $5,000 for now, while offering the higher end coins in our new upcoming High Roller Club newsletter. 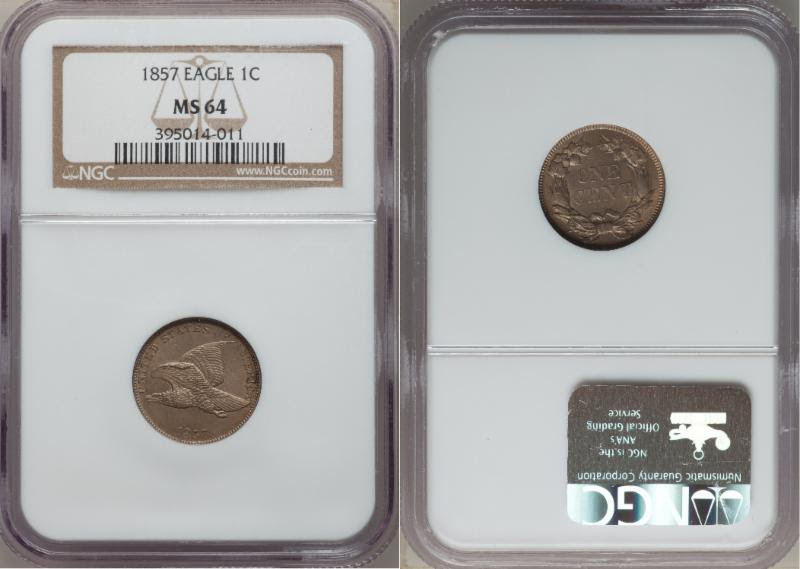 Without question, the Flying Eagle is one of our most iconic and sought after coins. 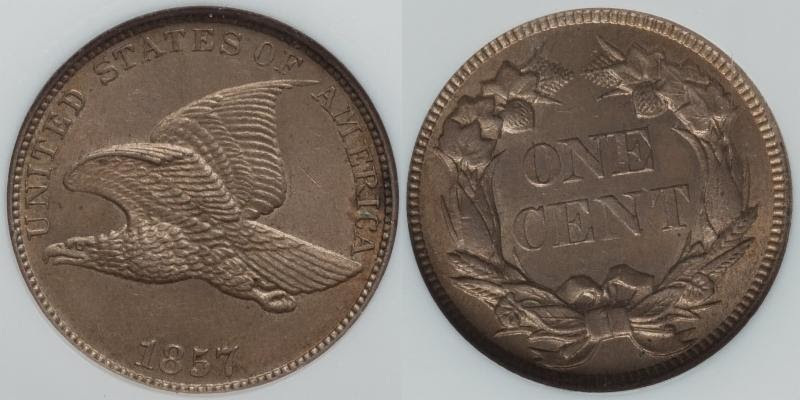 Minted for only three years (1856-1858), this beautiful design is an American treasure. WHOA! That’s a spectacular looking coin! 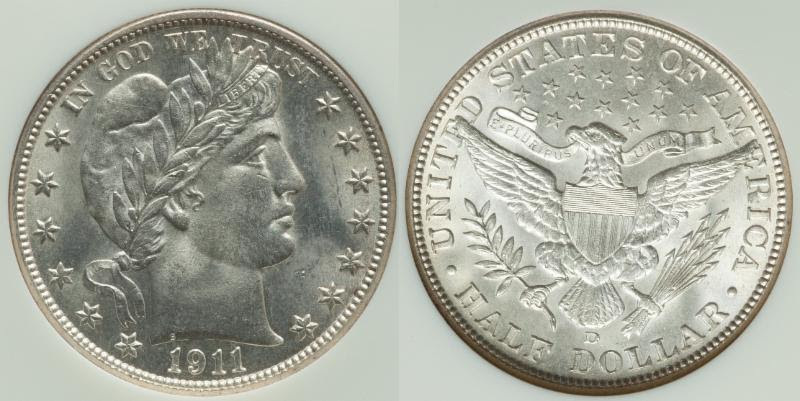 1908 was the final year of the $5 Liberty Head. 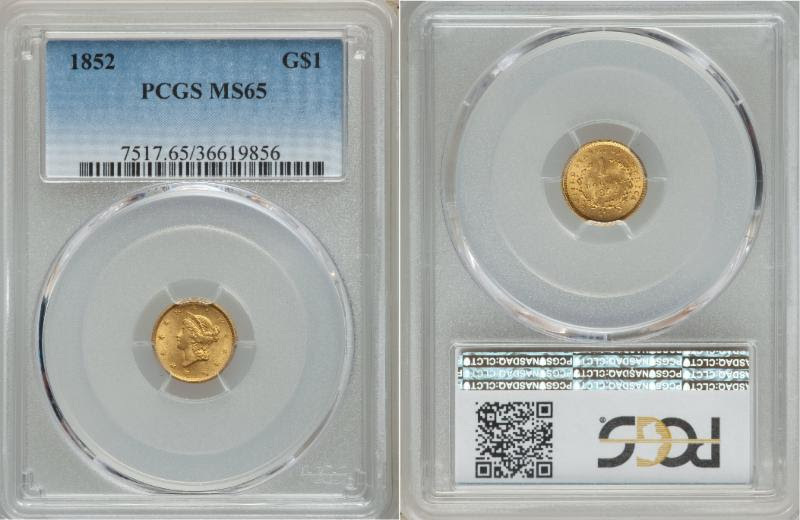 Less than 300 have earned this grade from PCGS, with few graded higher. It’s a gem! PCGS price guide is $2,000. Your price is only $1,595. Barbers are hot right now. Very hot. 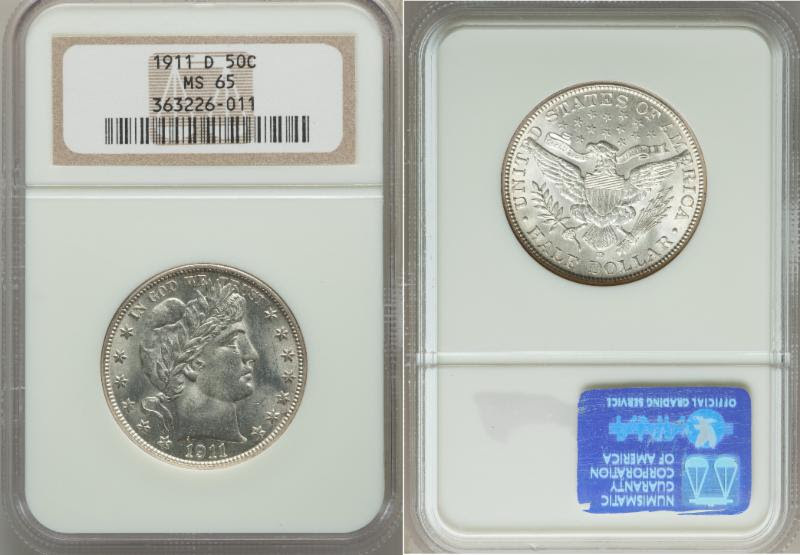 This rare Denver minted 1911 half is superb. Rarity: only 16 have earned this grade from NGC, with only 6 graded higher. NGC price guide is $2,800. Your price is $1,001 less: only $1,799. 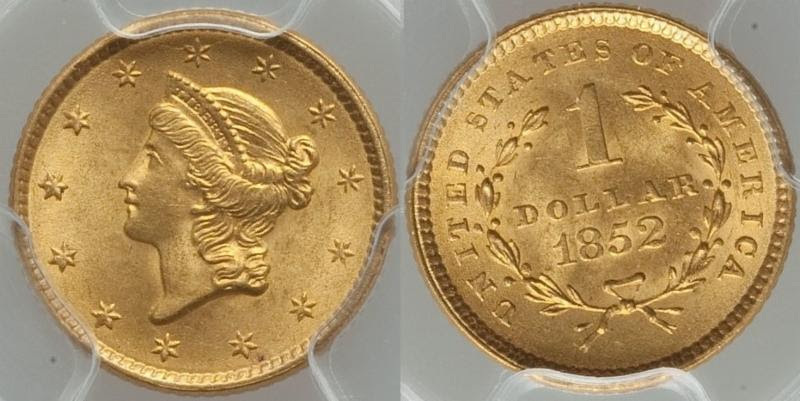 What I like most about this early date gold dollar is that the face looks very sharp. Too often, we’ll see a highly graded coin that has significant scratches on the face. This one looks quite good! Your price is only $2,150.